At Byrd's Auto Service, our Chevrolet service staff are trained to meet a wide array of problems your car may face over its lifetime. We have staff that perform general maintenance like oil changes and tire rotations but can also attack bigger problems that may arise in older Chevrolets, like body issues or engine problems. 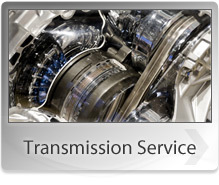 Our team has a wealth of experience working on the broad range of Chevrolet offerings. They can diagnose what's wrong with your Chevy, because they under the iconic history of Chevrolet. Chevrolet has been the brand behind some of the most iconic cars in automotive history. From the Corvette to the Camaro, to the classic 1957 Chevy, the brand has been the backbone of American car culture. Chevrolet is the brand you go to when you're looking for the one car to drive off into the sunset, and if you want to keep that vehicle in great shape Byrd's Auto Service at Raleigh, NC is eager to provide your vehicle with the high-quality maintenance and repair it deserves. We here at Byrd's Auto Service, conveniently located in Raleigh, NC, 27610, understand how important your Chevrolet is to you, so our staff is trained to be highly effective. We want to get you back behind the wheel of your Chevrolet quickly so you can get on with your life. Nobody wants to spend a lifetime in a service center, and neither does your car. 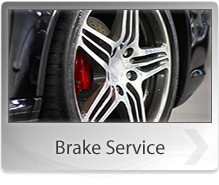 If your Chevrolet is having any problems, be sure to call us at 919-779-2689 today. Please stop by and pay our friendly staff a visit!